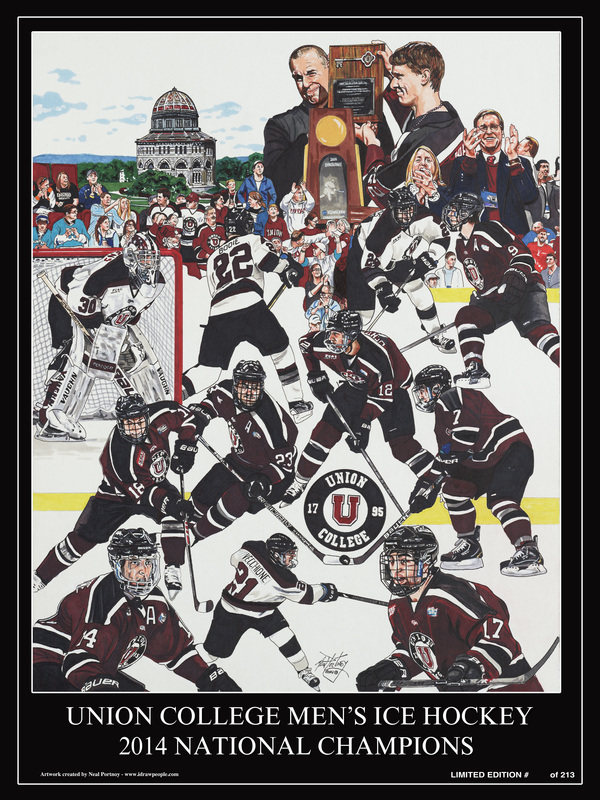 Union College 2014 Men's Ice Hockey National Championship Players! To commemorate your achievement, I have created a series of 35 Artist Proofs, signed & numbered setting aside one for each player on the team. This special password protected page will be available to you through the September 30, 2015, so please follow a few easy steps to complete your order. that matches your sweater number is set aside.